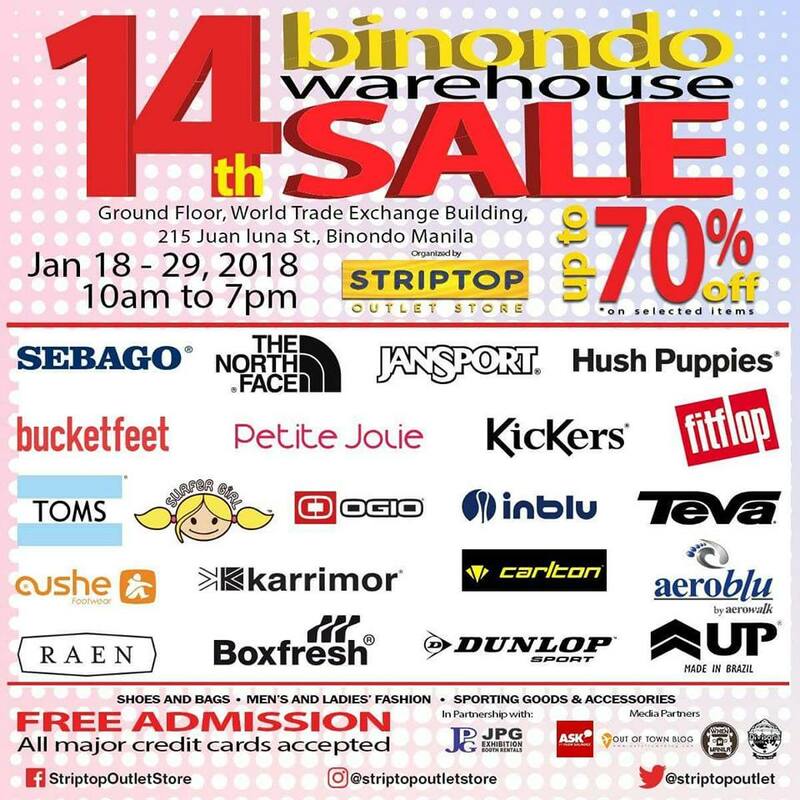 Grab your favorite brands at discounted prices at the 14th Binondo Warehouse Sale happening until January 29, 2018, Check it out at the lower ground floor of World Trade Exchange Building along Juan Luna St., Binondo, Manila from 10am to 7pm. 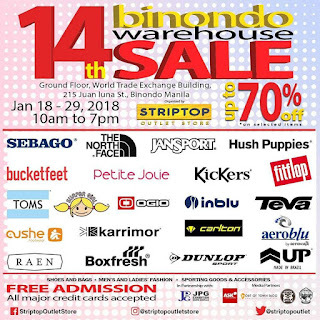 Participating brands: Sabago, The North Face, Jansport, Hush Puppies, Kickers, Fitflop, Toms, Salomon, Cushe, Boxfresh, and more! hi! manila shopper, saan po kya tlga kuhanan ng havaianas overruns? pinang gagalingan na bodega, warehouse or factory?